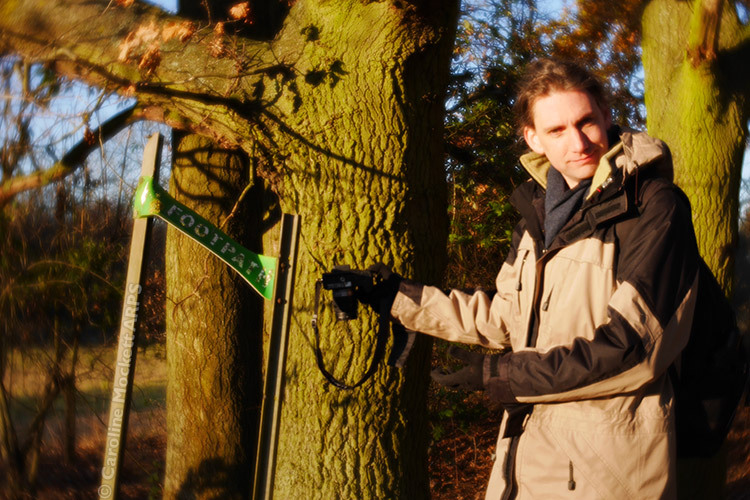 It was another crisp Autumnal day, but the sun was out so Alistair and I decided to have a walk to find some caches around Gosfield. We settled on the Greek Myths series by itandat, giving us a nice circular route. 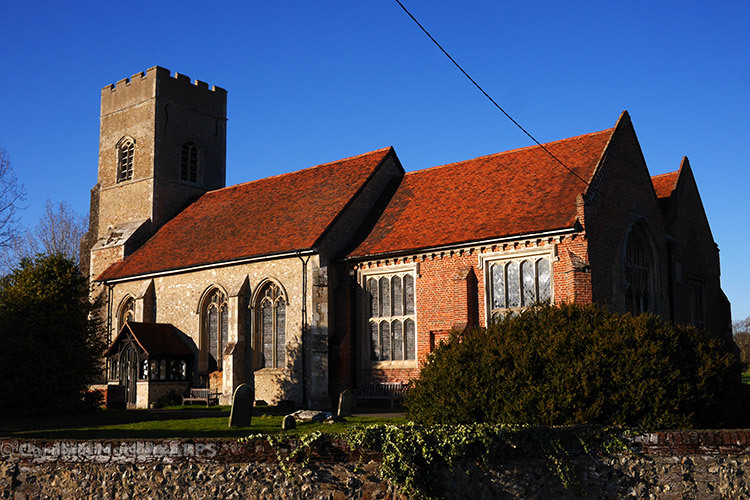 Of course, no caching expedition is complete without at Church Micro – so we stopped off for CM370 in Gosfield before starting the main walk. 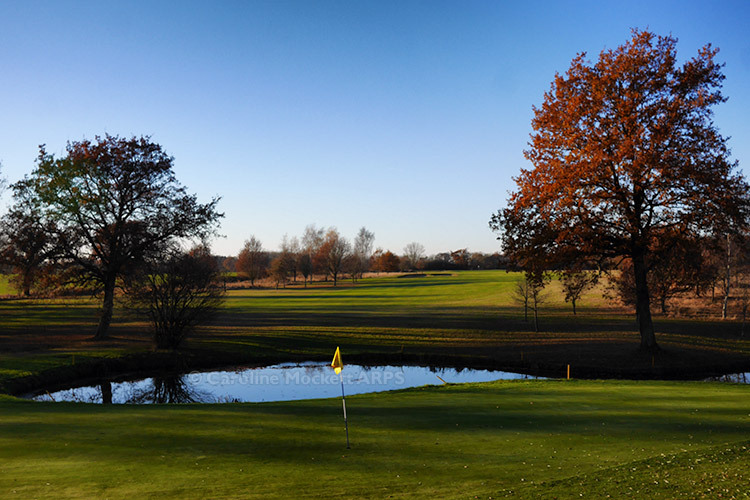 Part of the route took us past some of the holes of the local Golf club. Look out for low-flying balls! Some of the signs were a bit the worse for wear, but we spotted them all in the end. 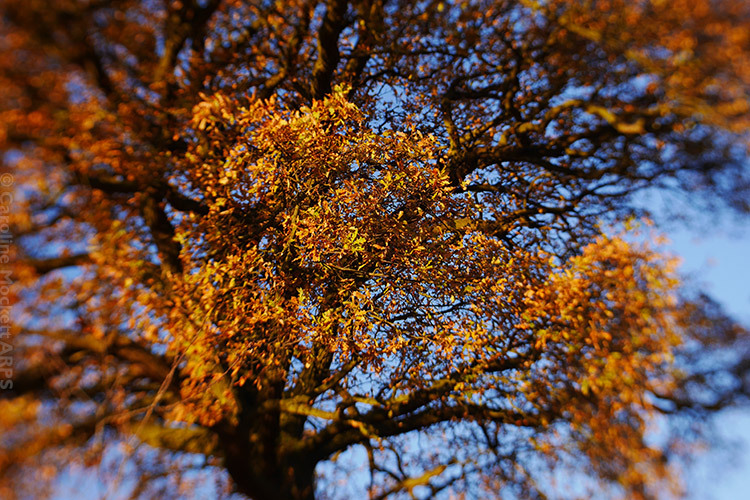 There were loads of lovely colours in the trees, and plenty of golden light to show it off at its best. 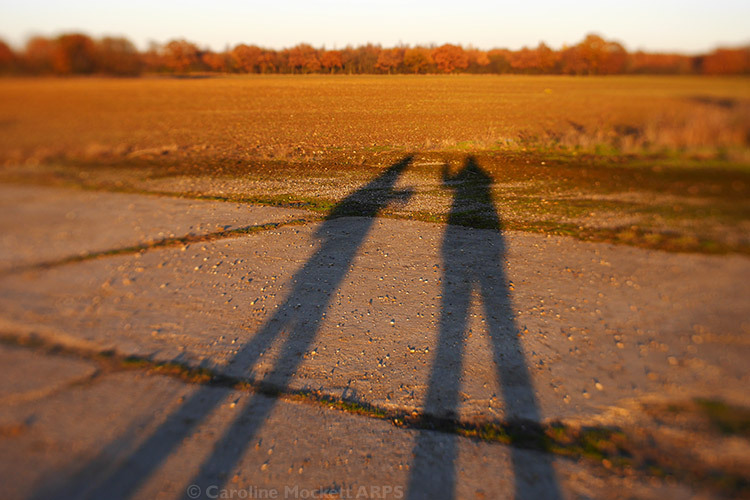 As the afternoon progressed, our shadows got longer and longer. I’ve never had such long legs! 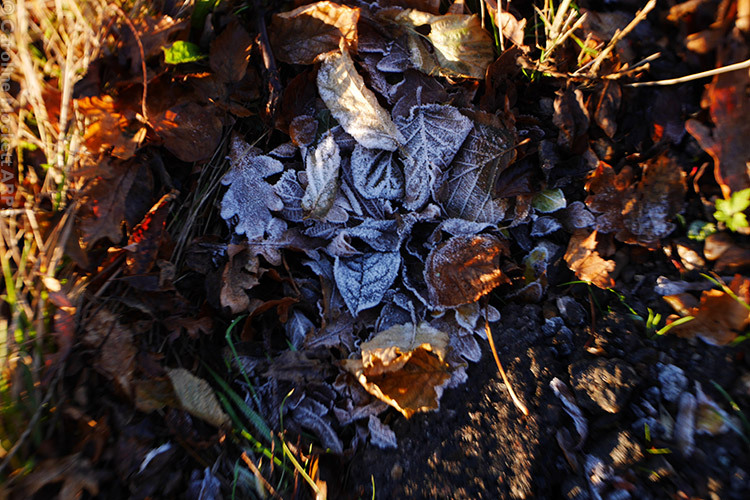 Even towards the end of the day, there was still pockets of frost on the ground in the shadows. Some places hadn’t seen the sun all day. 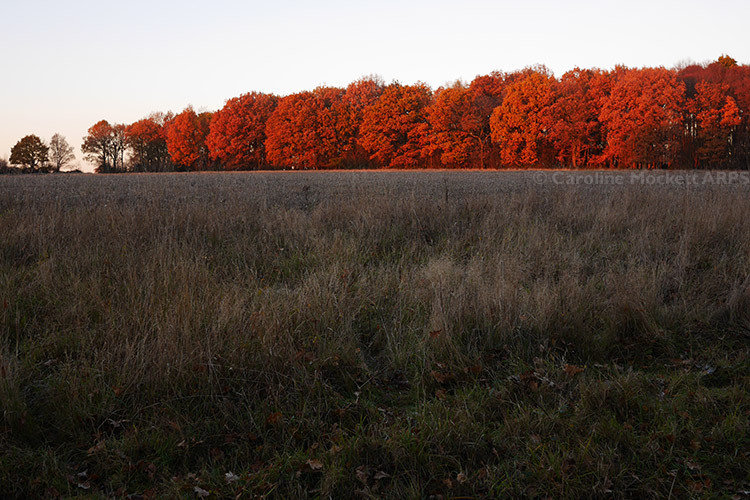 As the last of the daylight was fading, we made the last of our finds – the bonus for the series, and then headed back to the car and home for tea and cake. Previous PostTinker’s TrailNext PostBillericay & Boo!